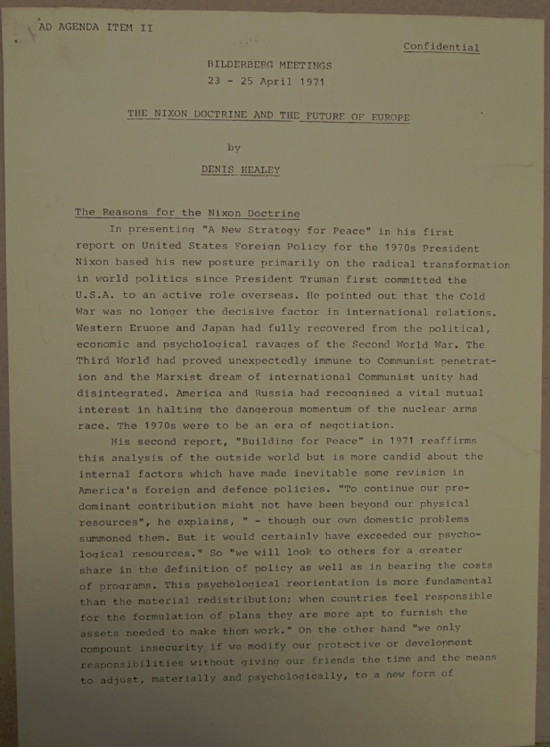 In presenting “A New Strategy for Peace” in his first report on United States Foreign Policy for the 1970s President Nixon based his new posture primarily on the radical transformation in world politics since President Truman first committed the U.S.A. to an active role overseas. He pointed out that the Cold War was no longer the decisive factor in international relations. Western Europe and Japan had fully recovered from the political, economic and psychological ravages of the Second World War. The Third World had proved unexpectedly immune to Communist penetration and the Marxist dream of international Communist unity had disintegrated. America and Russia had recognized a vital mutual interest in halting the dangerous momentum of the nuclear arms race. The 1970s were to be an era of negotiation.